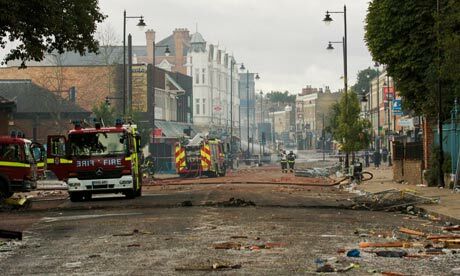 Much ink has recently been spilt over the London riots originating in Tottenham. The usual arguments have been trotted out about 'feral' youths, engaged in 'mindless' 'yobbery'; the usual harsh prescriptions have been advocated from water cannon, to punitive public disorder sentences, to, incredibly in one tabloid newspaper, apparently 33% of people in a survey saying they wanted the police to be issued with, and to use, live ammunition. 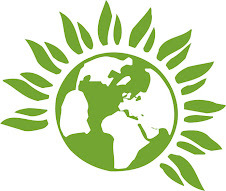 Let us be crystal clear: the Green Party condemns violence, condemns the looting and condemns the destruction of property we have seen. However, we depart from other political parties in seeking to be completely serious, rather than just posturing, on the underlying causes of these outbreaks; for it seems to us that these events did not simply come out of nowhere. It seems likely that the tragic death of Mark Duggan lit the blue touch paper for the explosion we have seen; if it wasn't Mr. Duggan, it would have been somebody else, somewhere else, triggering similar events. But don't just take our word for it. Camila Batmanghelidjh, founder of the children's charity Kids Company, and who has spent years working with young people in deprived communities, wrote in the Independent on Tuesday that these young rioters are not just thoughtlessly burning down their communities, as Tottenham and Hackney MPs David Lammy and Diane Abbot would have it, they have withdrawn almost totally from the communities most of us would recognise. Worse, they have created parallel communities, outside of mainstream society, where gangland values, crass consumerism and hatred of authority are rife. How do we tackle such deep-seated problems? Certainly not, as most of London seems to have done, by clamouring for David Cameron, Nick Clegg and Boris Johnson to come back from their summer holidays to 'do something'. What, in all likelihood, can these posturing, vain, and ideologically blinkered individuals do by yanking on ineffective levers at the top tiers of government? The UK is now so centralised, with such an empty wasteland where local democracy should be, that all these politicians can do is frown, furrow their brows and make sonorous, but platitudinous, speeches before the TV cameras. Not a whit changes on the ground as a result. Only the Green Party truly believes in resurrecting Local Democracy. And only vibrant, empowered, local democratic bodies have a hope in hell of knitting together the various services - community youth workers, police, healthcare, educational workers - with local civil society and business to try and weave together a future of hope for these raging, self-destructive, nihilistic young people marooned in an amoral universe of their, and our, making. Yes, the causes of, and issues at play in, the recent riots are much more complex and multi-faceted than I’ve allowed for above, but surely two of the biggest solutions are those referred to: the need to properly tackle the parallel communities and the absolute necessity for true local democracy to be restored. Our young people, and we their family members, friends and fellow citizens deserve nothing less. No more platitudes and posturing; we need real, integrated, solutions – and we need them now. For many,it comes out of no where.We in Tower Gardens Resident Group,was planning a "youths"event for this summer.And we has to to this whit out the youngsters. It will be a long way we has to go.The action by our kids ar allways a mirror picture for the state of the society. In many statments I got from germany,it says clear that this is a global problem. You ascribe the causes to your own political view of the world and then proscribe the Green Party and the only solution. You have totally ignored the demographics of the riots as that completely undermines the causes you put forward. The truly sad thing is that you will not change your opinion one iota. You KNOW you are correct and no amount of facts and figures will change your mind despite what they show. 95% of those arrested are apparently male. Do theriot-inducing social and economic factors not affect inner city females?